Kaye tilting table has an adjustable-height work surface that helps to position the user in a therapy, home, or school setting. Tilting table has a tilting work surface that permits the child to be positioned at the optimal distance from the table surface. Tilting table provides proper positioning that helps stabilize the eyes, head and trunk and allows for increased freedom of movement of the scapula, shoulder, arm and wrist. 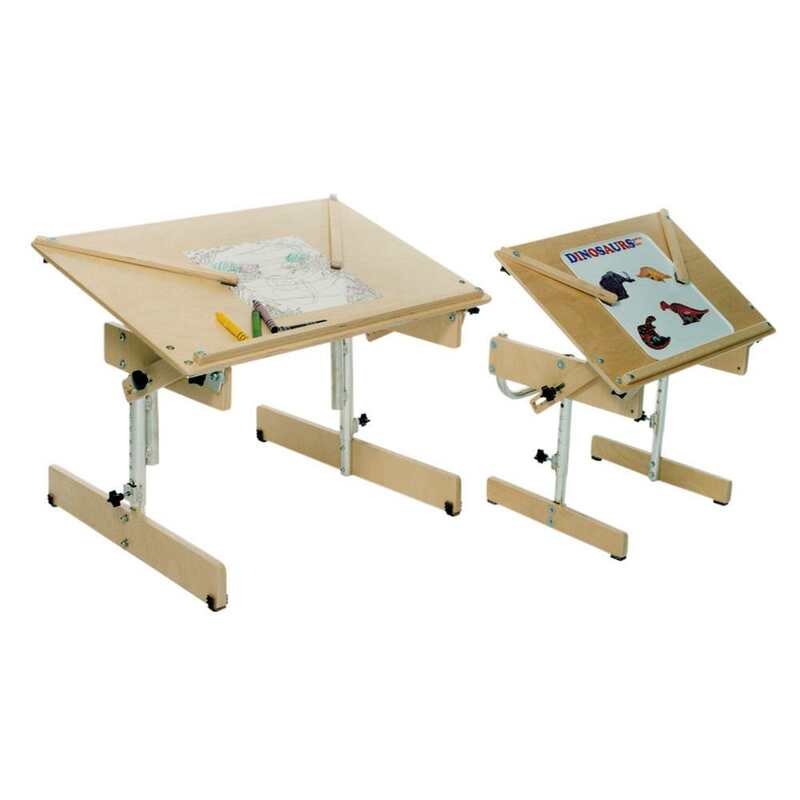 Adjustable, removable clamps hold books and toys and the removable wooden ledge along the bottom prevents items from sliding off the table when it is tilted. Table surface depth 14¾" 20"
Table surface width 20¾" 29¾"
Height from floor 12" - 17" 17¾" - 25½"
Width under tables 14½" 21½"
Span between legs 14½" 21½"